So you're in the hunt for a scheduling solution. One that is simple to use. One that you and those you work with will want to use. And one that won't cost you a small fortune to operate. 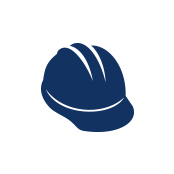 Welcome to BuildIT – your next construction scheduler. We know contractors, and we know scheduling. Over 15 years ago, we started building the solution you and your colleagues were asking for. You wanted a simple, yet effective scheduling system, one that would actually get used - the result is BuildIT. And you are one step away from experiencing the difference. You've been managing projects for years. And you've put together systems, tools and processes to manage as best you can. But problems persist, deadlines are missed, and it's starting to affect the bottom line. You know there's gotta be a solution. BuildIT gives you that edge, that upper hand to manage better, so you can spend more time on the things that matter. … then BuildIT is your next project management tool. Not all scheduling solutions are created equal. Some are "old school" – offline, desktop software that is fast becoming obsolete. Some are on training wheels. They look more like spreadsheets than schedules. And while they offer you a pretty picture, when things change, the schedules are not worth the paper they are printed on. Only BuildIT gives you a live master schedule of all your jobs running concurrently. AND BuildIT schedules connect all your people to their tasks. When changes happen (a regular occurrence in construction), your people are instantly notified. And your people receive a "heads up" notification x number of days before their task starts – you control who gets notified, and under what circumstances. Your projects will run smoother with BuildIT – no question about it. With many mid-level and enterprise project management suites, you feel like you are dumped into the cockpit of a 747. Good luck getting that bird off the ground. BuildIT is your ultralight / gyrocopter. One stick. A few key controls. You'll be at cruising altitude before you get a call from ground control. You're building a personal project. Non-commercial, not-for-profit. You run your own show and do all the work. You're a small volume general contractor or specialty trade. You're in the big leagues with office and field staff.